"Everything's exhausting when you're past 40." 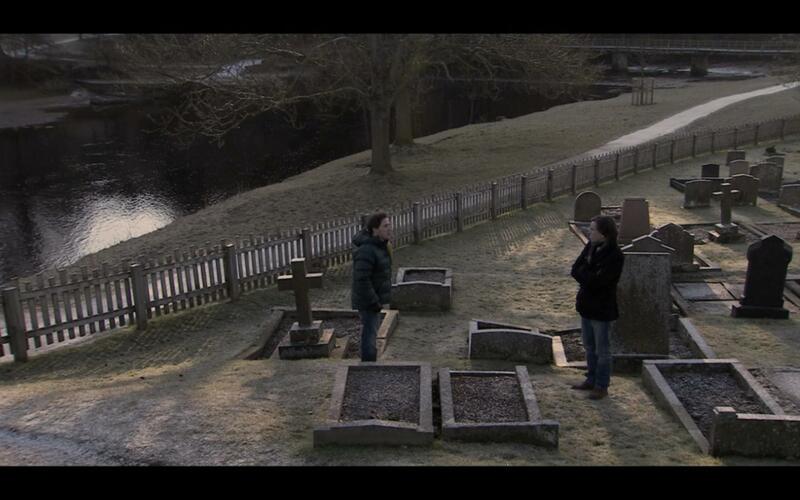 Two British stars take a trip to the North of England together in this Michael Winterbottom project that was edited down from a BBC series. The Trip is a long form improvisation with a spine created around the imagined (or real) middle-career and middle-aged malaise of the actor Steve Coogan. Divorced, in the middle of a break-up with his American girlfriend, Coogan calls his friend Rob Brydon, a comedian and impressionist, to accompany him on an all-expense paid trip to visit restaurants in the North of England for a magazine piece he has been commissioned to write by the Observer. Their talents are on full display with Coogan playing broody and barely amused to Brydon's optimistic, playful needling. Several of the movie's centerpieces involve the two men dueling with their impressions of iconic stars such as Michael Caine or Sean Connery. These can go on for a bit, but one of them will always hit on something deeper in their own relationship as friends or the others career. The pair travel through the desolate, but beautiful moors and end up in the Lake Country, while the deeper themes of time passing us by and the desperation to make some type of mark on the world start to present themselves more clearly. Finally, the two are walking in the footsteps of immortal poets like Coleridge and Wordsworth, but rather than things getting burdened with too much pretension, the biting humor of Coogan and Brydon constructs a sturdy engine fueled with just enough gallows humor to keep us moving along. I wasn't sure what to think of this film once it finished, but I was feeling many things. Bellflower is a rambling interestingly-shot trip through depression, jealousy and anger as could only be properly filmed by the twenty- something renegade filmmakers who made it. Evan Glodell, the director and writer, puts himself in the lead as the slacker Woodrow who spends his time fixing up a muscle car named Medusa. He also tries to build the perfect flamethrower with his friend Aiden. Their shared buddy fantasy is that they will be prepared for an imagined Road Warrior-type apocalypse. However, after Woodrow gets mixed up with a new girl, he and Aiden's lives become very difficult, very fast. Flawed, but with a raw artistry and vision, there is no doubt that these guys have something here, but what it is, I'm afraid I or any critics I have read elsewhere can't describe fully. Yes, the science fiction elements are shaky of course. 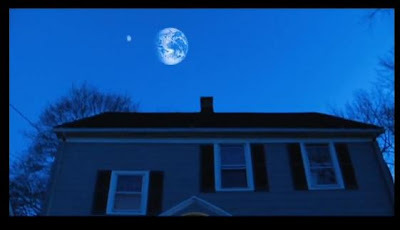 If you have seen the ads or the poster for Another Earth, you would know that an identical planet to the size of the Earth would create all sorts of gravity issues if we could see it looming in the sky like that. Best seen closer to the fantasy end of science fiction (think Twilight Zone) Mike Cahill's film is really about coming to terms with ourselves as we are, with all of our history and finding a way to move forward. Earth's citizens become aware of another planet, one that seems remarkably similar to their own, drifting closer to them This unleashes the imagination of woman who caused a fatal car accident that derailed her promising young life, (she was on her way to an MIT scholarship) and wrecked the family of another man. She tries to find a way to somehow make retribution. One can easily forgive some of the science flubs, but the credibility issues with the young woman's strange plan to make amends seems a bit more outlandish than the huge doppleganger planet that hangs in the sky. However, the haunting tone and the camera's love of the beautiful Brit Marling, (also a co-writer on the film,) makes for a hypnotic experience. And the first contact of our NASA with the sister organization of that other Earth is a spine-tingling sequence matched only by the finale, which is closest thing to the chills I received when I first saw some of the classic Rod Serling masterpieces. Know nothing about NASCAR and even less about Formula One racing? Then you actually might want to check out this documentary about Senna, Brazil's legendary Formula One racing champion. An aggressive driver on the track, Senna is portrayed as a gentler and more contemplative man out of the car. Though the film doesn't hide that he was an intense character, he comes across as humble and self-aware. While he obviously dated some of the world's most beautiful women, the filmmakers seem uninterested in his romantic life and only fleetingly feature his family. The politics and rules of the international governing body of Formula One racing provide the obstacles and Senna emerges as a pure competitor who must somehow negotiate his way through this thicket to the championship, despite sometimes being the best driver. 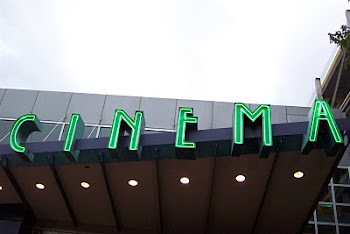 Unfortunately, the movie becomes a little bit of a hagiography in this area, with only a hint of Senna's own infractions. 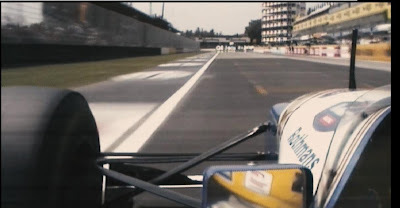 With the high decibel roar of the exclusive Formula One footage to serve as a pillar, the story eschews the static documentary convention of the talking head, and Senna instead uses actual period interview audio and a few voiceovers to thrillingly recreate the fast rise and short life of this athlete dying young. 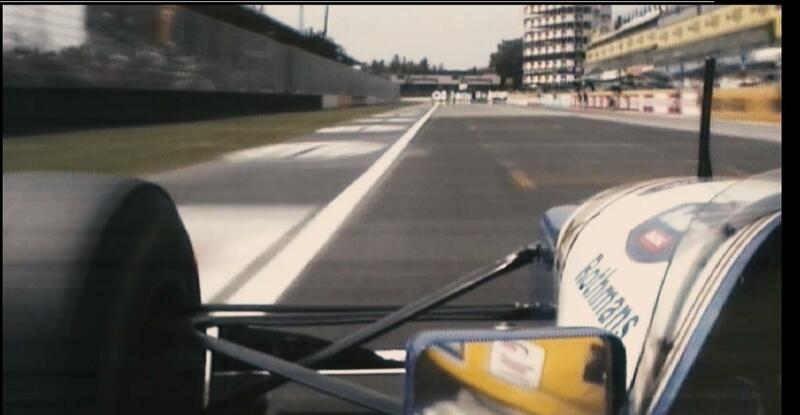 Senna was killed in an accident at the age of 34 and the footage taken from his racing car allows us to be right next to him until the very moment of his fatal collision. A kind of serene twin to Senna, the documentary Buck shows us another man was born to be the best at what he does. Rather than Senna's high octane pace, this film ambles along and waits until its last moments to throw you. 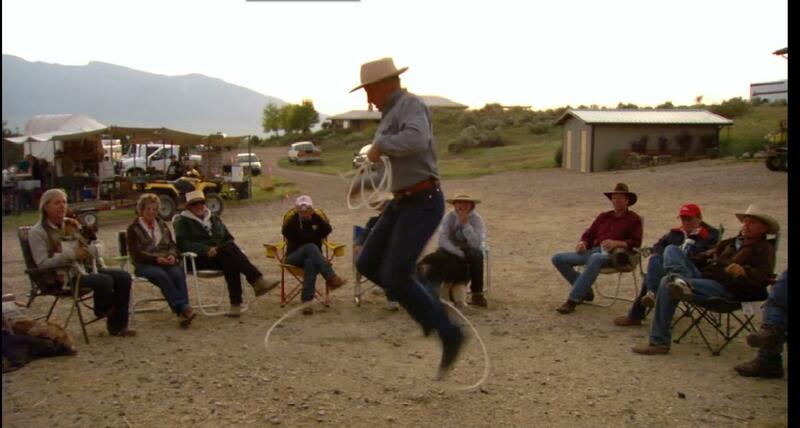 Buck Brannaman travels the country running training camps and seminars for horse owners. He is a protege of a famous horse trainer who was the inspiration for the novel The Horse Whisperer, which was made into a movie with Robert Redford. Buck himself served as a consultant on that film, and his own horse was used for many of the stunts. With beautiful sunsets and mountain vistas as a backdrop, director Cindy Meehl gradually reveals Buck's past. His brother and he were young prodigies who performed rope tricks around the country, managed by their increasingly abusive father. Buck's gentleness and understanding of horses is almost magical, but the film has an ace up its sleeve that leaves the sage cowboy and the audience off-balance. Playwright Anna Kerrigan made her first feature film by scraping together 60,000 dollars and securing an interesting location - a large estate out in Western Massachusetts. Five Days Gone starts in a New York City bar as two sisters, who never knew each other existed, meet for the first time after their successful father has recently died. While one sister, Camden, grew up with her father and all the money that that entailed, Alice, played by the writer Kerrigan, grew up poor, never really knew her absentee Dad and doesn't seem to really care. Camden and her reluctant husband, invite Alice and her boyfriend to stay for a weekend at the family estate, recently inherited..
A few days on the grounds of the house, and a slow tension builds, with hints of Chekhov or Turgnev (Kerrigan admits these are her influences.) The sparks come a little too slowly and there are some inconsistencies in the characters that seem engineered to create some needed conflict. However, the performances of Kerrigan as the skeptical Alice and Brooke Bloom as the nervous Camden, keep moving the film into the territory where it is at its most interesting: as a tentative coming of age story about family and class. Five Days Gone Trailer from Anna Kerrigan on Vimeo. Remember that 60 Minutes piece years ago about the Jim Roberts cult? You know, the sketchy church that seduces away bright young college students into a Spartan, separatist lifestyle that prohibits them from ever talking to the their families again and has them riding bicycles and eating out of garbage cans? Well, that cult still exists and is as active as ever. Only now, bereaved family members who have had children seduced into the organization can connect with each other over the internet. 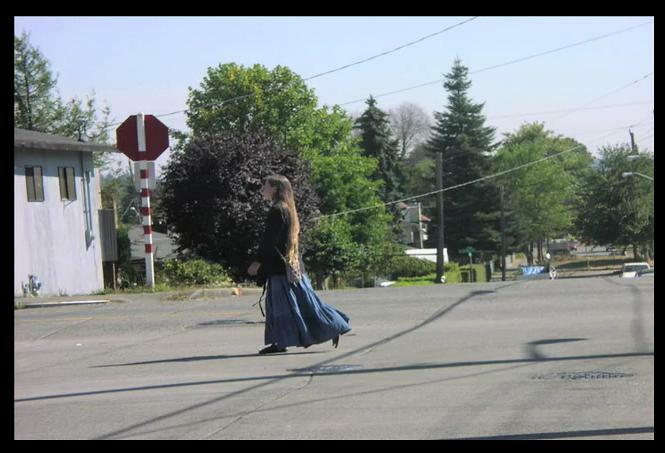 As a network, the families can run surveillance on the nomadic cult if they suddenly pop up in a metro area. They share photos online so that families can see if their sons or daughters are hiding out in the houses the cult members rent. Filmmaker Angeline Griego followed this group of family members closely, and her film, God Willing, documents the attempt of one woman in particular to make contact with her daughter. It is as suspenseful as any Hollywood thriller - the cult has been known to completely blow town at the slightest hint they are being watched. God Willing - Trailer from About Time Productions on Vimeo.